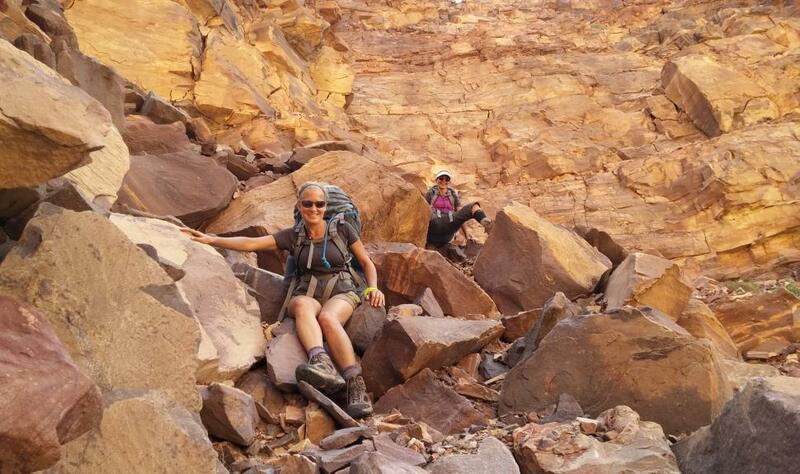 The Tanner and Grandview trails present the Grand Canyon explorer with a variety of challenges – seclusion, narrower trails, a short 35 ft hand climb, a fun, heart-thumping scree slope to hike down, but lots of fun!. 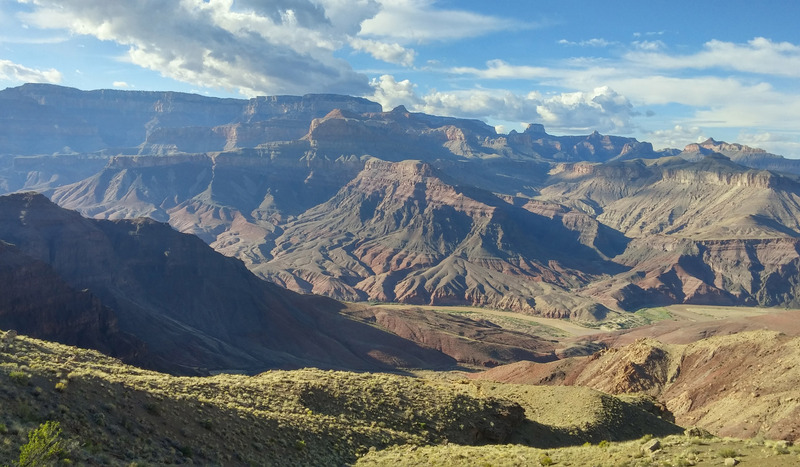 Unlike the South Kaibab and Bright Angel Trails, the Tanner and Grandview trails see very little foot traffic, making your Grand Canyon backpacking experience much more private and secluded. This route was voted one of the best hikes ever by Backpacker Magazine in 2010 (click here for the article), a 5 or 6 day 33 mile hike down the Tanner Trail, along the narrow and faint Escalante Route for some fantastic views and finally hike out the Grandview Trail. The best part of this route is you could spend 3 nights camping along the beaches of the Colorado River. Few routes in Grand Canyon offer this unique opportunity. This route is one of the most challenging in the canyon, but with some extra training, more sweat spilled and the will to do something way off the beaten path, the rewards are endless! If your are looking for a backpacking trip that is a bit shorter and less of a challenge, take a trip out and back along the Grandview Trail to Horseshoe Mesa and explore the copper mining camps abandoned in the late 19th century. While you are there, test your fears of the dark, small places and bats in the Cave of the Domes – the only cave open to Grand Canyon visitors. The Grandview Trail has some narrow and steep spots so occasionally you may have your stomach in your throat. Just swallow – it will go back down! The views all the way to the mesa are fantastic and distracting and you will soon realize you got there without any major distress. In fact, it is not until the group reaches camp that you will notice your legs are a bit tired. Once on the mesa, the group will explore historical sites of the copper mining that once occurred here in the late 1800s. Mine shafts, equipment and structures still exist on the mesa and are now part of the historical record of Grand Canyon. Need some help planning your trip? 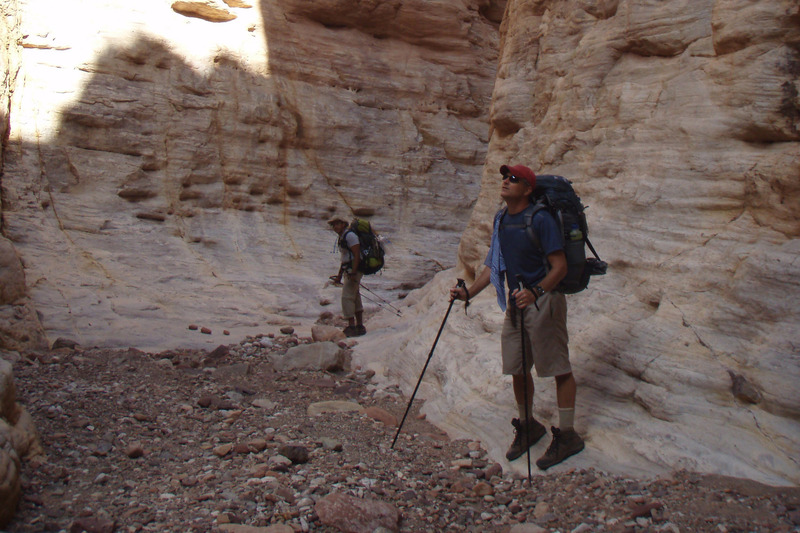 With our outfitting services for your Grand Canyon backpacking trip, your experience will be more enjoyable as we will do the footwork for you. Click here for more information about JRI’s outfitting services. If you need more information about the trails? Click the below links for the official Tanner, Escalante Route and Grandview Trail descriptions from Grand Canyon National Park. These descriptions do not fully depict the actual itinerary, but are provided to give you an idea of the overall route and trails. For example, the section between Hance Rapids to Horseshoe Mesa is not depicted in these descriptions but is part of the route. 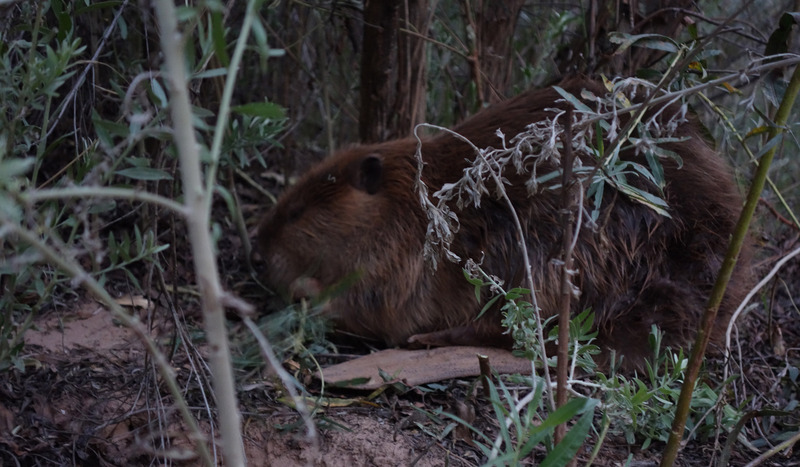 *Please note: Due to the high demand and limited supply of permits available for the Grand Canyon camping areas, we recommend having flexibility in your dates and open to alternate camp areas. We also recommend planning any Grand Canyon hike at least five months in advance. 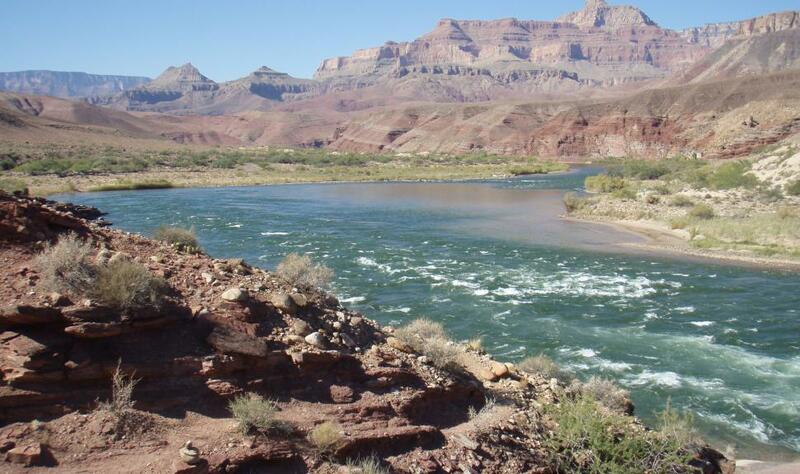 This hike starts at Lipan Point and will spend the next 7-8 hours hiking down to the Colorado River. 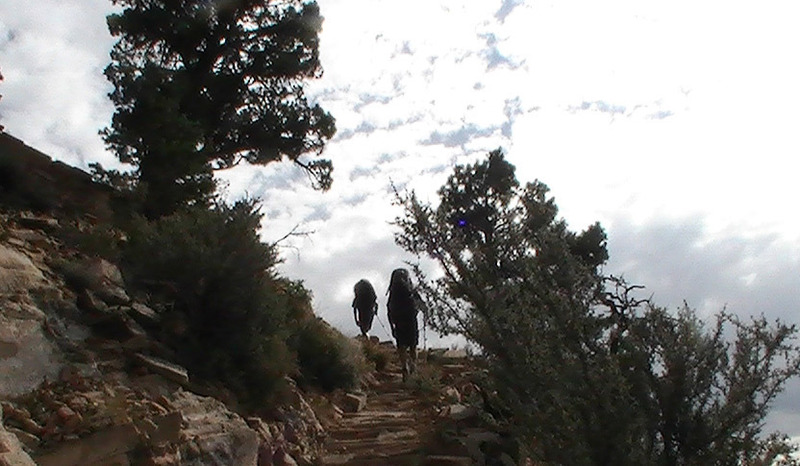 This is one of the steepest trails on the South Rim, so there is potential for unplanned, additional trail time. The views are outstanding along the way. By the time you reach camp at the river, you will have covered 9 miles (14.5 km) and dropped 4,850 ft (1478 m)! On the second day of this route, you will make your way downstream along the Colorado River on the Escalante Route. The goal is to complete about 7 to 7.5 miles (11.3 to 12.1 km) this day and camp at the Colorado River for the second time by the Escalante Creek for the evening. The trail ascends about 1,000 feet (305 m) before dropping back down to river level at the campsite. 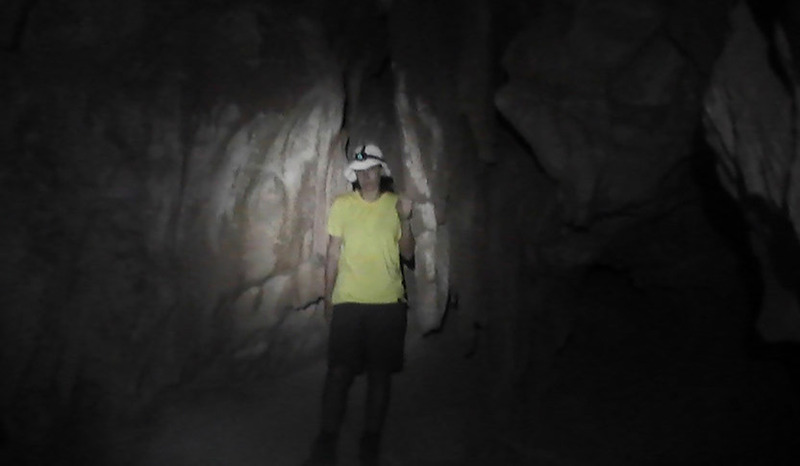 On this day you will complete the last of the Escalante Route. This will include some scrambling, followed by a descent down a steep rocky slope. After about 4.5 miles (7.2 km) of hiking, you will reach the mouth of Red Canyon at the end of the New Hance Trail. This will be your campsite, right on the beach beside Hance Rapids. There is time in the afternoon to explore Red Canyon or just kick back and relax under the shade of the mesquite trees. Today, take the Tonto Trail westbound, away from the river towards Hance Creek. 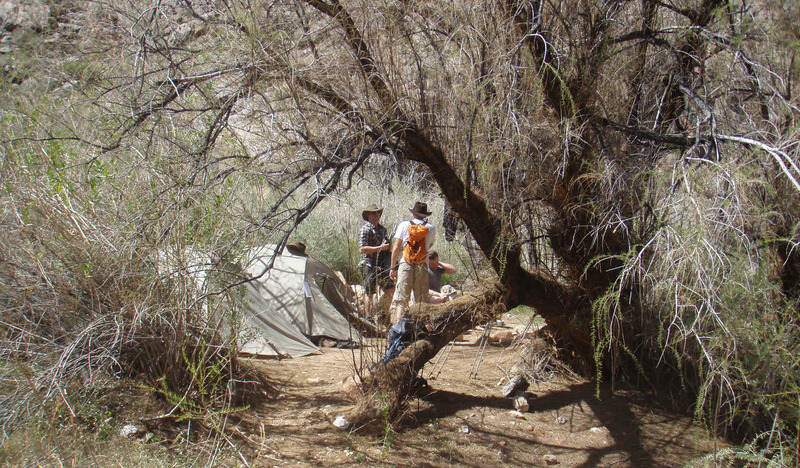 You will be camping in an intimate side canyon and also begin your climb out of the canyon today. The hike this day is 5.7 miles (9.2 km) with a 1,300 ft (396.4 m) gain in elevation. There is time in the afternoon to take a side hike down the Hance Creek drainage to see some of the oldest exposed rocks on the planet- 1.6 billion years old! From Hance Creek, head up to Horseshoe Mesa, climbing over 1,000 ft (305 m) in the process. Once on the mesa, there will be time to explore the remains of the Last Chance Copper Mine and Cave of the Domes, as well as time to hike to the end of the Mesa for outrageous views of the inner canyon. Take in the “grand views” as you hike out of the canyon along Grandview Trail. The last section of the hike gains 2,600 ft (792.5 m) over 3 miles (4.8 km) and usually takes about 3 hours.